Buy in bulk and save! This includes Six (6) black M2 30-round MOE Pmags. 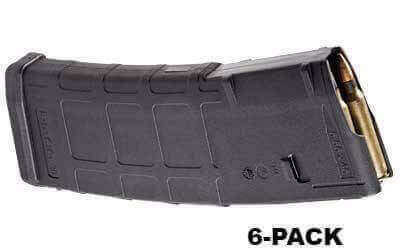 Standard Magpul magazines so that’s great! Service and shipping was amazing! Thanks for sharing your experience, Stan. We're glad you're satisfied with your purchase. Cheers! Thanks for sharing your feedback, Dillen. We're glad you're satisfied with your purchase. Cheers! Great product. Great service. Fast delivery. Thanks for sharing your experience, Jamey. We're glad you're satisfied with your purchase. Shipped fast and great quality product!